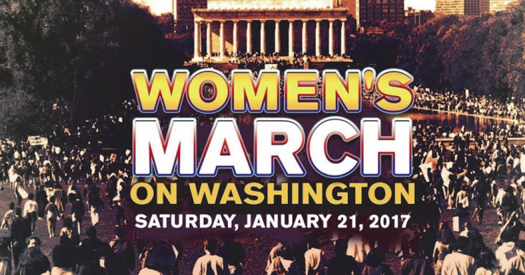 WASHINGTON—The Women’s March on Washington, planned for Jan. 21, has faced a range of controversies, including the Portland NAACP withdrawing support from a sister march and White women unhappy with Black criticism that they need to listen more and talk less. Black women were angered when the effort’s mostly White women organizers initially called it the Million Women March. “They had a clear LGBTQ agenda and created this confusion by saying we were involved. Sisters blasted them on social media and then we replied that we would sue them if they didn’t change the name. It was a conniving, devious move in the first place,” she said. That challenge forced organizers to quickly change the name to the Women’s March on Washington and appeal for Black, Muslim and Latino women in leadership. That leadership now includes three prominent activist women of color, Tamika Mallory, a gun control advocate and board member of the Gathering for Justice, a nonprofit founded by Harry Belafonte; Linda Sarsour, executive director of the Arab American Association of New York; and Carmen Perez, executive director of the Gathering for Justice. They have tried to give the march a new tone and tenor that makes sure women of color feel welcome and call for a range of women to participate. “We believe that Women’s Rights are Human Rights and Human Rights are Women’s Rights. We must create a society in which women—in particular Black women, Native women, poor women, immigrant women, Muslim women, and queer and trans women—are free and able to care for and nurture their families, however they are formed, in safe and healthy environments free from structural impediments,” the group said in a Jan. 12 statement. What started as a White feminist protest over election results is supported by 200 progressive groups dealing with environmental issues, prisoners’ rights, voting rights, affordable health care, gun safety, racial and gender equality and a higher minimum wage and other issues, according to organizers. “This is not just about a march. It’s about having deep and courageous conversations about race and privilege. We cannot heal as a nation if we do not address the wounds of racism. This dialogue is not an accident, it’s intentional and by design,” said Linda Sarsour on Facebook. The lack of opportunity to take conversations to deep places upset Black women in Portland who were told the city’s sister march would not discuss President-elect Trump or Black Lives Matter. “I didn’t want to be part of the march if it was going to be a White-woman kumbaya march,” Jo Ann Hardesty of the Portland NAACP told the Willamette Week. “I can’t imagine bringing 20,000 women together and not addressing the most critical issues that are facing women in our community,” she said. Organizers say more than 270 solidarity marches are planned in all 50 states, two territories, and in 33 countries, with expected participation of more than 500,000 people. Participants will gather in the nation’s capital at 10 a.m. EST, Saturday, January 21. The starting point will be the intersection of Independence Avenue and Third Street SW, near the U.S. Capitol. While some Whites are rejecting the march over feelings of exclusion some Blacks are rejecting it because of the disrespect they felt from the beginning.